Welcome to the perfect guide for finding laptops for performing coding tasks. In today’s world, finding the right laptop may seem daunting, as there are so many different options available and so we want to help you find it. We have compiled a list of what we think are the best laptops for developers, which includes high-end machines, cheap and even affordable ones. Each laptop has its own advantage and disadvantage and you can go through them to see what will work for you. Ideally, one might assume that a MacBook Pro or a MacBook would be the perfect choice for coders, given their operating system. The Mac OS X is based on BSD Berkeley which is a UNIX version, perfect for those who dabble in coding. However, not everyone finds the iOS platform comfortable to work with. If you are someone who falls into that category; do not fret because you have an abundance of alternate options to work with. The most popular one is, of course, Linux, since it is based off on GNU which is considered to be a clone of UNIX. 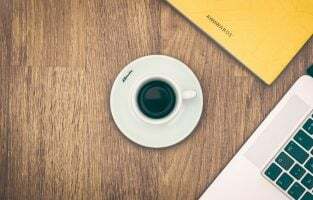 Finding the perfect Linux laptop is a difficult task because these products don’t offer the same number of diverse options that a Mac or Windows laptops could. Luckily, you can easily install the Linux OS on any Windows laptop and get to work instantly. You can even have both the Windows OS and the Linux OS on the same laptop, so you can switch to the platform you want at any given point of time. 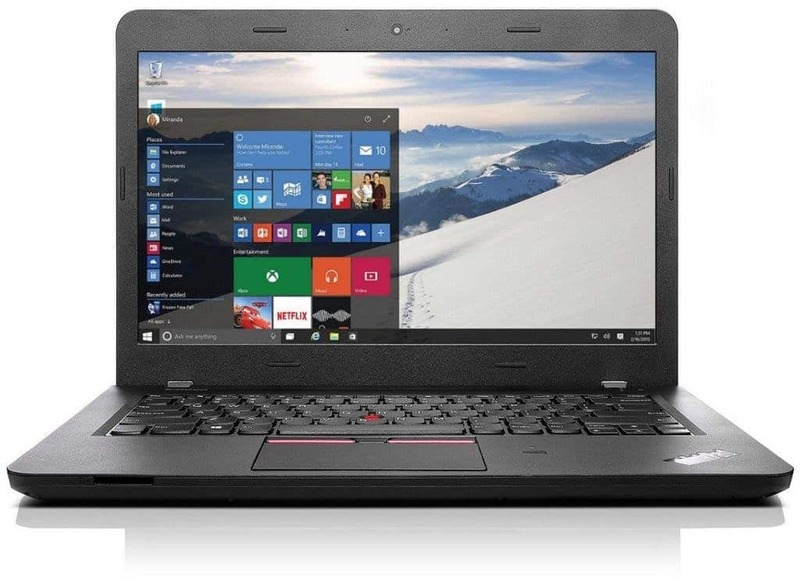 Budget is the important factor which is unavoidable to consider when it comes to buying a developer’s laptop. Many of you might be either well-to-do programmer who can pay out any higher amount of money for the seamless machine or you might be looking out for a computer which qualifies all the standard and blueprint of a rapid computing device but at a reasonable cost. 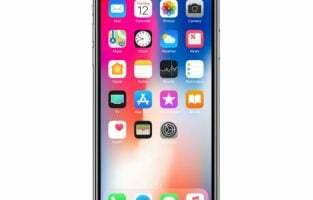 In this article, we have listed top 10 both types of devices starting from the reasonably priced computer to the costly ones. The Dell precision 15 5510 was actually designed for video editors, but it makes for a great laptop for developers. It comes with an Intel Core i5-6300HQ processor, NVidia Quadro M1000M, 8 GB RAM, 500 GB storage and a big 15 inch display. One great aspect of this laptop is its compact nature. It weighs only 3.9 pounds, which is great, because it’s the same as the Dell XPS 15 which has less power. You can easily carry it around and work on your projects on the go. The reason for this is Dell’s Infinity Edge technology which helps to save space by reducing the display’s bezels significantly. The Laptop looks sleek with its silver and black color combination and its minimalistic design. The display is easily one of the best looking ones in the 15 inch category offering great colors and crisp visuals. The minimal bezels also mean that you get more area to view your code. Performance wise, you get a good amount of power under its hood, allowing you to run some seriously intense tasks. You can even perform multiple tasks at the same time without facing any crashes or lags. The boot times are fast and apps load up almost instantly, making it perfect for developers. The battery life is where this product is a bit weak when compared to its competitors. 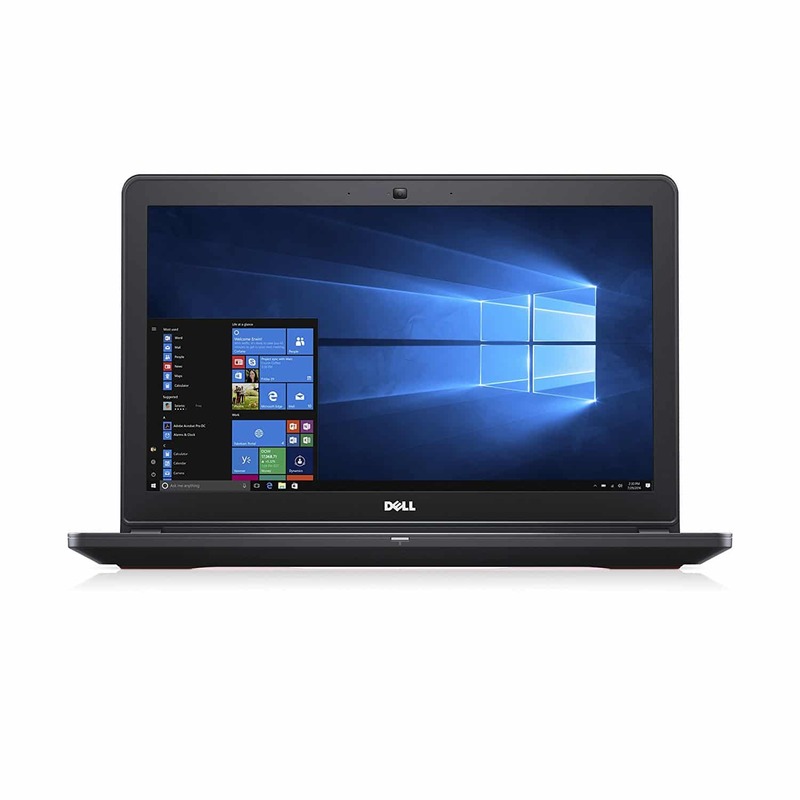 But other than that, this is a great affordable, but powerful laptop to have, if you love coding. 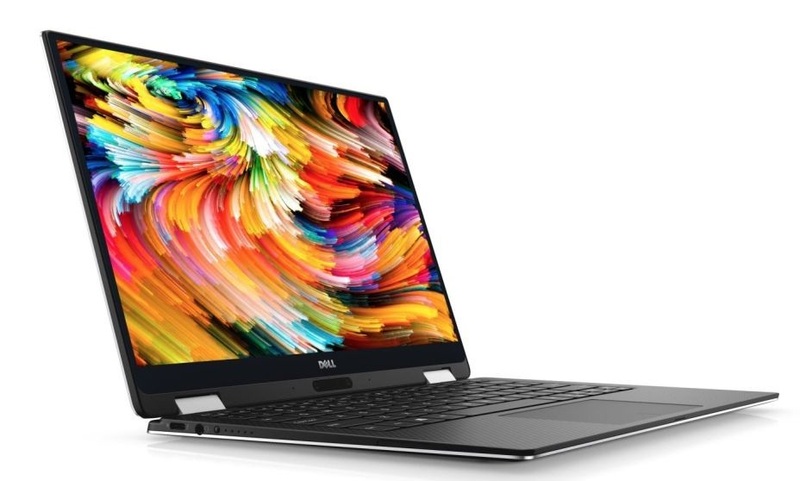 The Dell XPS 9360 is perhaps one of the best well rounded laptops for developers, because it not only has great performance, but it also comes with Linux OS ideal for coding tasks. It features the Intel 8th gen Quad Core i5 8250U processor (1.60 GHz and Turbo 3.40 GHz), 8 GB RAM, 128 GB M.2 SSD storage, Integrated Intel HD Graphics 620 and a 13 inch display. It houses 2 USB 3.0 ports, 1 SD card reader, 1 headset jack, 1 noble lock slot and 1 Thunderbolt 3, allowing you to connect external devices, should you need it. The design looks pretty cool with minimal 13 inch bezel display. The design is nothing to write home about, but it has its high points. It’s easy to carry around, making it very convenient, especially if you are always on the go. But where this laptop distinguishes itself from the rest is the fact that Dell started using Kaby Lake architecture which increases the efficiency of the laptop performance wise and battery life wise. It also comes with Linux Ubuntu which is quite convenient if you are a developer. Now, not all developers use Linux or vice versa, but the platform is a free tool that you get with this laptop, should you need it or for when you might need it. Performance wise it gives a very respectable score overall and it also gives you about 8 hours of battery life under active use (video playback). All in all if you are a developer who prefers working on Linux, then the Dell XPS 9360 is perfect for you. Nowhere does it say that gaming laptops make the perfect laptop for developers due to their high performance, but if you are a game developer it sure can help. The Razer Blade RZ09 R3U1 is a 14 inch laptop that comes with Intel Core i7-7700HQ, 16 GB RAM, NVidia GeForce GTX 1060 graphics and 256 GB SSD storage. 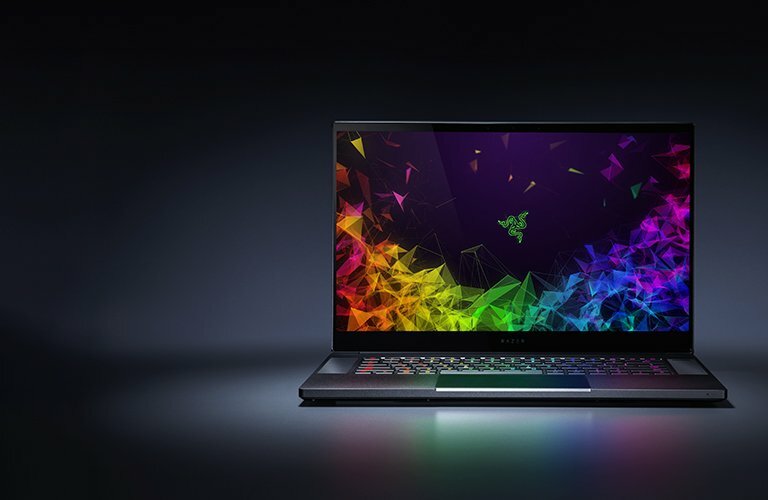 However, what is unique is that Razer managed to fit a 15.6 inch display into a 14 inch frame, making it one of the most compact gaming laptops in the world. The Razer Blade RZ09 R3U1 is perhaps the best looking gaming laptop they have ever made. The all black aluminum unibody looks amazing and sleek as hell. It looks amazingly thin but it feels pretty dense and durable. With 144 Hz the user experience feels smooth and just wonderful. 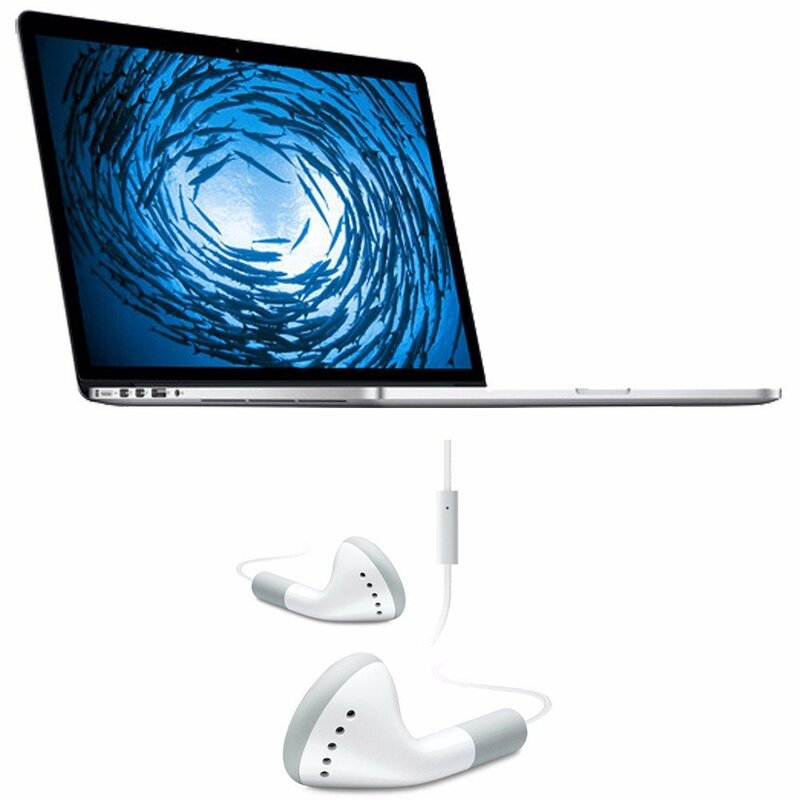 The laptop also features top firing speakers that provide excellent audio quality. 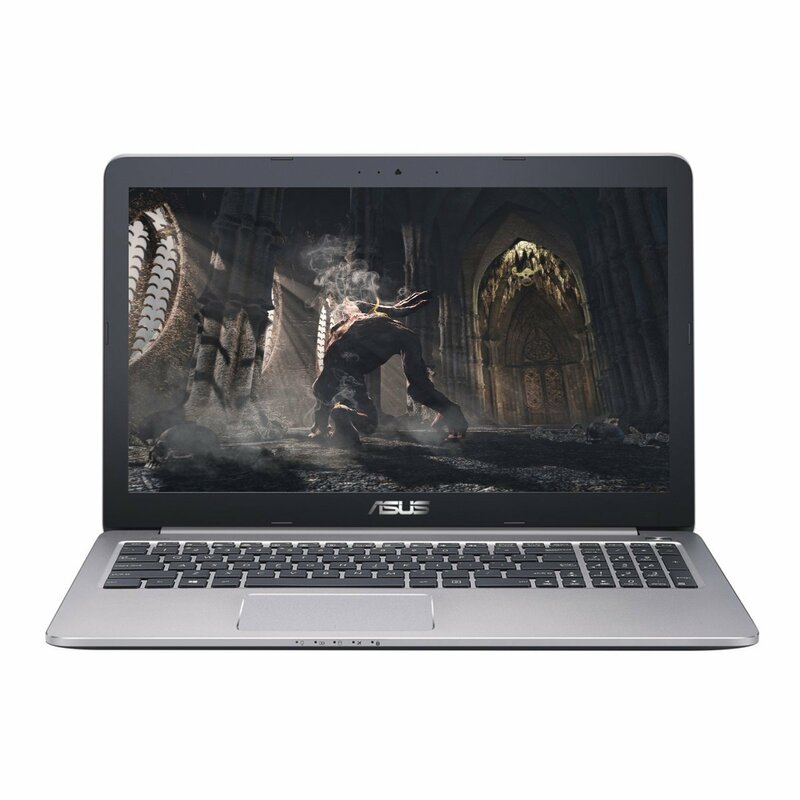 Performance wise, this laptop offers great power allowing you to play the latest games in high settings. As a game developer you can also check out your work in progress to see how it’s coming up. While you get extraordinary performance, this laptop does get a little hot when you perform intense tasks, but as a developer you don’t have to worry about that. As far as battery life is concerned it’s pretty decent where it’s better than the Zephyrus laptop, but worse than the MSI Stealth. All in all, the Razer Blade RZ09 R3U1 is a great gaming laptop for you if you want a high end high performance machine for your coding needs. When it comes to compact laptops, the Microsoft Surface Pro 4 is one of the best products you can get in the market today. It comes with Windows 10 Pro pre-installed, which is a plus because it offers good value as a packaged deal. 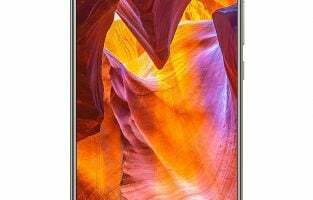 It comes with a 2.4 GHz Intel Dual Core i5-6300U (up to 3GHz with Turbo boost), Intel HD Graphics 520, 8 GB RAM, 256 GB SSD, 8 MP rear facing camera and a 12.3 inch display with 2736×1824 resolution. 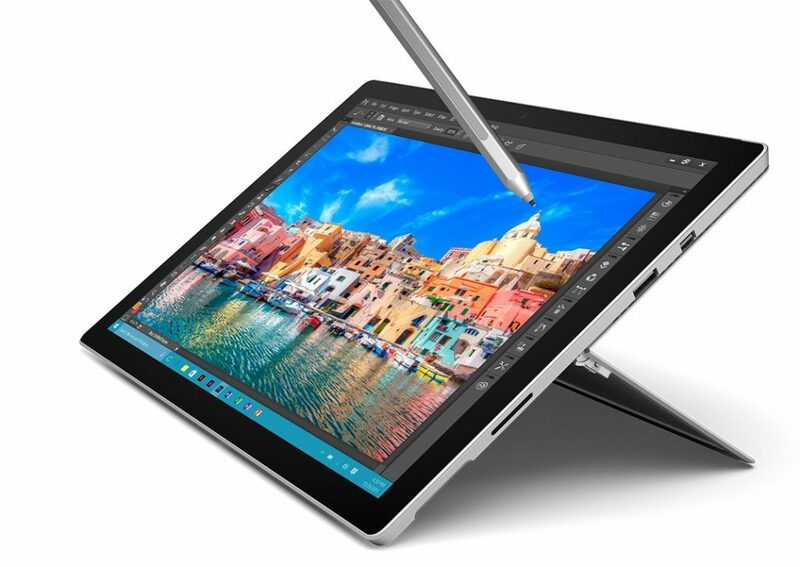 Display wise, the Surface Pro 4 has increased the display size from its predecessor. It also decreased the thickness significantly from 9.1 mm to 8.4 mm. 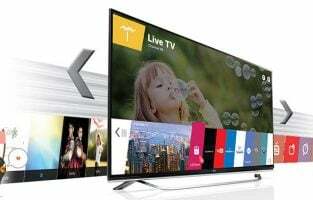 It also comes with PixelSense technology that makes the display screen to be ultra-responsive making for a great user experience. The screen resolution is better than the MacBook Air at 2160×1440 and offers great vibrant colors. The Surface Pro 4 also comes with a good amount of power for a 2 in 1 laptop, especially at its price point. It’s not built for intense tasks such as huge editing tasks or big games, but it is more than enough for coding work. As far as battery life is concerned, it runs for about 4 hours and 30 minutes under the harshest tests. With medium to high usage, the laptop will run anywhere between 6 to 7 hours. Though the product claims to go for 9 hours, a more realistic number is between 6 hours to 7 hours. When you take all the various aspects about this laptop, the only bit that is not as satisfactory is the battery life, but overall this is a great 2 in 1 laptop to have especially if you like to carry your work with you as you travel. If you are looking for a portable, affordable and versatile 2 in 1 laptop for your coding needs, then the ASUS VivoBook Flip 14 may be the perfect choice for you. It comes with an Intel Core i5-7200U processor, 6 GB RAM, 1TB HDD storage, fingerprint sensors, 3 USB ports, an HDMI port and a 14 inch screen. What makes this laptop so unique is not specifically its performance, looks or features but the combination of all of them and the price it comes at. 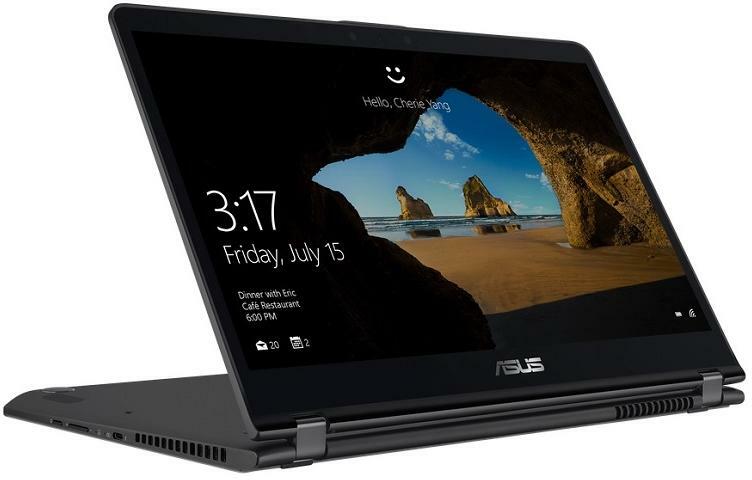 The screen of the ASUS VivoBook Flip 14 is 14 inches but it is fitted into a 13 inch laptop by using the NanoEdge technology, which minimizes the bezels around the screen. It has a 78.7 percent screen to body ratio which is pretty insane. 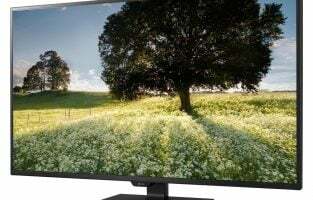 Moreover, the display is also 1080p with a 178 degree Wide view technology, making it great for watching content or just about anything you can put on the screen. The body is slim, sleek and stylish, perfect for those who are always on the go. No matter where you are, when you pop out this laptop, heads will turn. It’s also extremely lightweight at 3.5 pounds, second only to the Lenovo Yoga 920 which weighs exactly 3 pounds. The USB ports are distributed across both sides of the laptop with the left side having a USB 3.0 Type A port, a volume rocker, a power key and the right side housing a micro SD card reader, a USB C 3.1 port, a USB Type A port, an HDMI port and a 3.5 mm audio jack. Performance wise, the ASUS VivoBook Flip 14 beats the Yoga 920 easily and is pretty much on the same level as the Notebook 9. The processor along with the integrated graphics allows you to perform intense tasks such as video editing with relative ease. This is not a performance laptop by any means, but it can really surprise you with its power. When it comes to battery life, the ASUS VivoBook Flip 14 does a respectable job of retaining the juice under medium to high usage. It lasts for nearly 6 hours and 20 minutes when you binge watch movies and TV shows at high resolution. All in all, if you are looking for a compact and powerful 2 in 1 laptop at a cheap price, then this might be the perfect laptop for you. It is a laptop you can brag about in front of your friends. The Intel Core i5, 7200U processor with 8GB DDR4 RAM present in the device is, in fact, something that is mandatory on a developer’s laptop. The 1TB hard disc drive gives you a freedom to load as much data as you need. The screen is 15.6” full HD supported by the N16V-GMR1 DDR3L 2G graphics card. The 5th generation Intel Core i5 processor coupled with 2.2 GHz is a kind of turbo boost technology which can go up to 2.7 GHz when operated with Windows 10. With 15.6” full HD display, you have a good experience in watching movies, gaming, and lots more. Thanks to 8GB DDR3L RAM and NVIDIA GeForce 940M 2GB graphics card, you can enjoy flawless programming experience. This machine comes with a mid-range price; it can be the best option if you are a frugal buyer. It is the most stylish laptop of all. This is probably for those who don’t want any settlement between look and performance, as it brings you both. The HP Envy X360 brings in 360-degree hinge for flexibility along with 15.6 inches full HD display. The 6th generation Intel Core i7 -6500U coupled with 2.5 GHz clock speed is everything that a developer looks in an excellent laptop. The laptop possesses 8GB DDR3 SDRAM with 256 GB solid-state drive. The best thing about the laptop is that it comes with preinstalled Windows 10 operating system. A programmer or a developer can compromise with anything to get a powerful laptop. This laptop allows you do multi-tasking without any give-and-take. Despite being a low priced laptop, it is quite efficient to do a lot of heavy work. 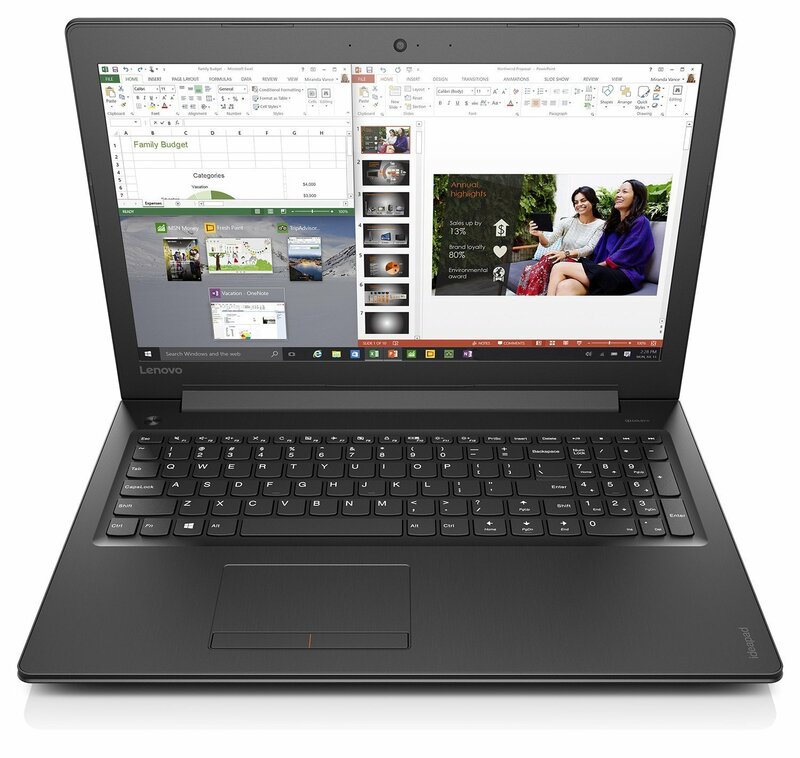 This Lenovo device can execute your work with speedy Intel Core i5-7200U Dual-Core 2.5 GHz processor and 2.7 GHz at max Turbo. 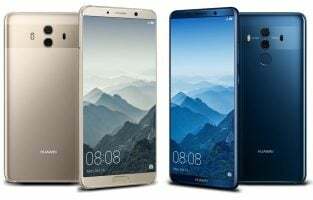 The display quality does not offer any less than any other devices in this range. The 15.6” HD display acquire anti-glare screen with Intel full HD Graphics. Not to mention, 16GB RAM performs wonderfully with all other hardware. 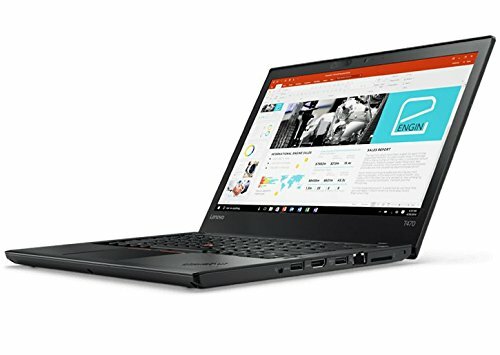 Lenovo did a wonderful job on this laptop; it is an ideal laptop for developers. It is a perfect laptop if you want a smaller but powerful one. It comprises 14” display which is proven to be best to carry while traveling. The laptop acquires a 4GB RAM and a massive storage of 1TB so that you won’t feel any shortage of space. The Intel Core i5-7200U (up to 3.1 GHz) processor and Intel HD Graphics 620 do the remaining work in making this laptop A-OK product. Being the sleek, stylish, and powerful machine, the device is liked by most of the developers. 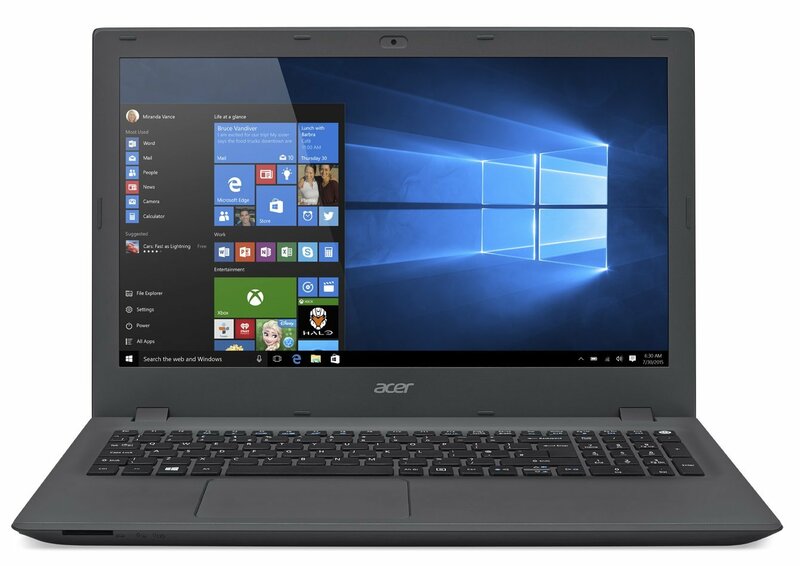 It is not just an ordinary laptop, it has i7-7700HQ Quad Core processor coupled with a RAM of 8GB DDR4 2400 which is somewhat comparable to any flagship product, though at a much reasonable price. The laptop comes with 15.6” wide full HD display to let you do your work conveniently. 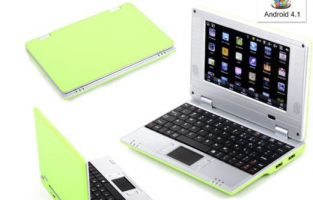 The company is assuring you the best quality touchpad and keyboard for up to millions of keystrokes. The best thing about this laptop is that despite being so powerful device, it remains very cool. Not to mention, the NVIDIA GTX 1050 graphics gives you a tremendous result. 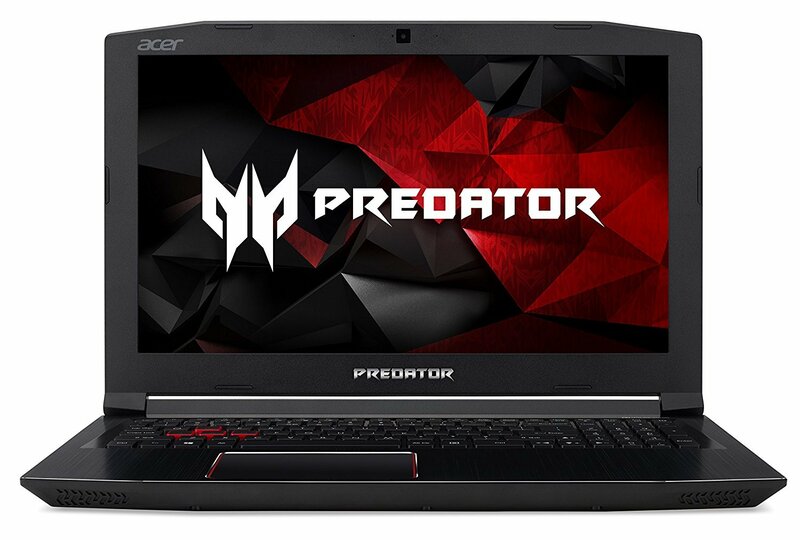 The laptop comes with the all-powerful Intel Core i7 processor coupled with NVIDIA GeForce GTX 960M graphics which lets you do many things at once, be it gaming, video streaming, or any other programming this beast works fine. With a budget of $900, it is the most preferred deal for most of the developers. The metallic body does icing on the cake work on the laptop. Along with the smooth performance, the look of the laptop is pretty admirable. With 8GB RAM and 512 GB SSD the product packed with inbuilt Windows 10 operating software, you can do a lot of heavy gaming without any second thought. Not just programming, you can do a lot more things on this laptop. This laptop is for those who want dynamic performance in spite of heavy tasks at hand. Basically, this laptop is known for high-end games; however, it works exceptionally in every task. 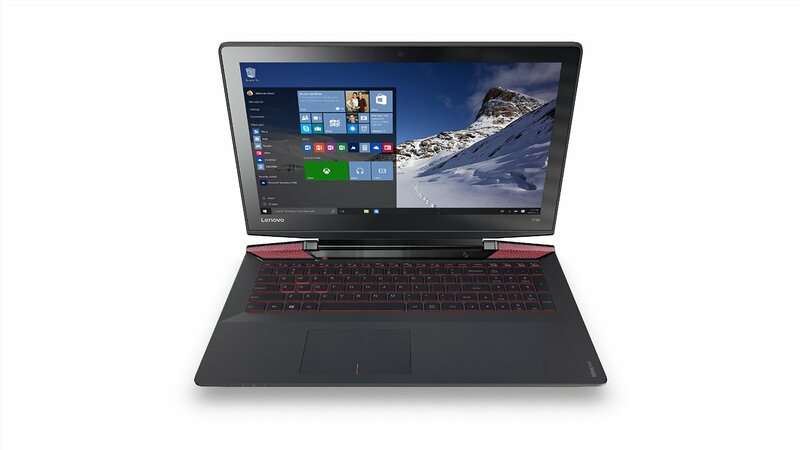 The gaming laptop is built with Intel Core i7-7700HQ processor with 16GB of DDR4 RAM. The 15.6” full HD screen is also very pretty to do much stuff. Because of the NVIDIA GeForce GTX 1060 with 6 GB of dedicated GDDRS VRAM you get incredible gaming performance. This is a laptop you can count on for your priceless programming work. This beast is, in fact, a gaming laptop; therefore, you can put it into a heavy usage. 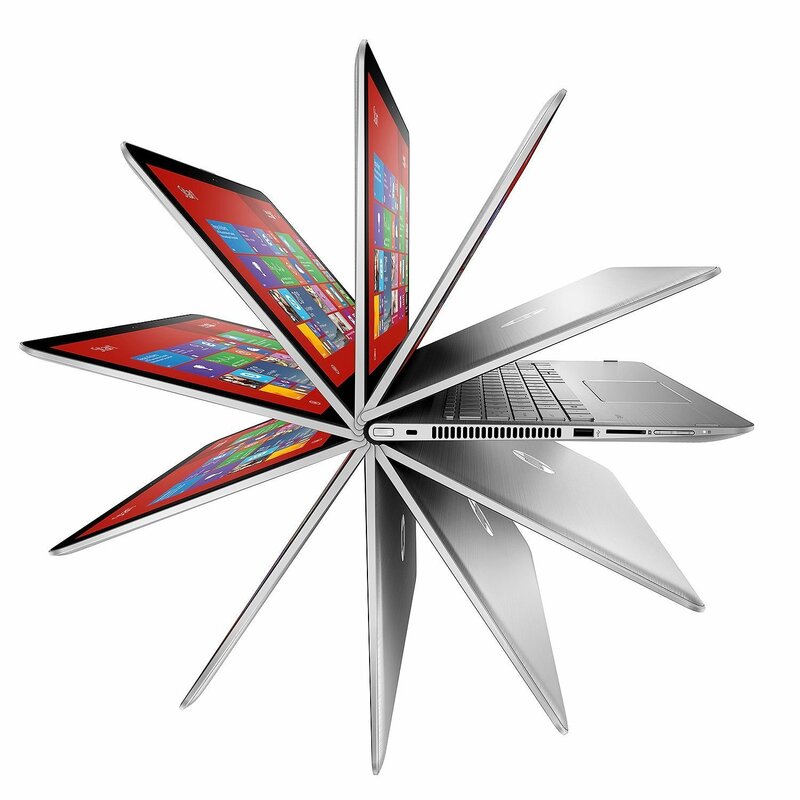 Fuelled with Intel quad-core processor, the laptop can handle intense usage. The laptop covers all the qualified aspects of an ideal device. You can enjoy uninterrupted performance due to Intel Core i7-65700HQ, 2.6GHz Processor, and NVIDIA GeForce 960M graphics card. The laptop offers a cut edge design which proves it is a real beauty besides being the beast. Unquestionably, all the products of Apple are first-rate and most preferred all over the world. Again, Apple MacBook Pro is the one that has dominated all other computers at this range. The Apple MacBook was justified as the best laptop for developers in 2016. 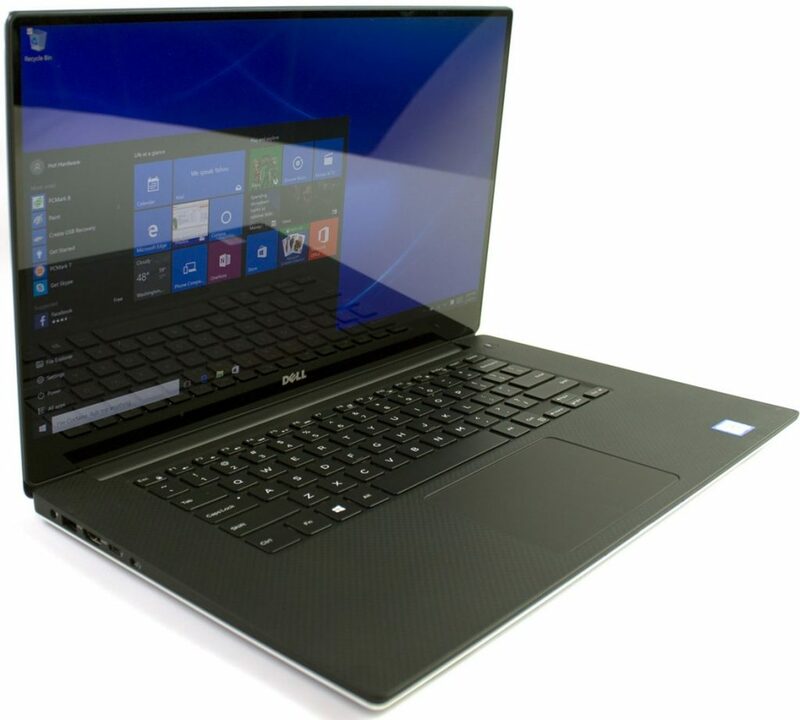 The laptop can boost around 2.5GHz clock speed owing to Intel Core i7 processor with AMD Radeon R9 M370X. The huge 16GB RAM along with the Intel Iris Pro graphics will let you enjoy your favorite flicks as well as games on the go. If you are a developer or a coder, then you need a laptop that can run multiple applications easily while offering convenience and luxury at the same time. Coding can be an intense task at times where you have to sit in front of the machine for hours while you tinker and play around with programming codes. You need a laptop that has good performance and a good display since it can get a little tiresome for your eyes. The last thing you need is a bad display that ends up hurting your eyes after a long work session. Finding a laptop for coding purposes honestly depends more on your budget than anything else, as it really doesn’t require high performance and unique features like a laptop for gaming or video editing. It’s more about finding a laptop that hits all the sweet spots while fitting in within your planned budget. Hopefully, the above list was of some assistance to you.